Please fill-out our Patient Registration Form. The security and privacy of your personal data is one of our primary concerns and we have taken every precaution to protect it. Dr. Farthing is a specialist in Periodontics and Implantology. Our practice specializes in treatment of gum disease, cosmetic procedures to aesthetically enhance your smile, and dental implants that can replace single or multiple missing teeth. We also diagnose and treat oral pathology. We serve the communities of Denver and Lone Tree Colorado and beyond. We strongly believe that our patient’s comfort is an important part of quality dental care. Our goal is to provide the highest level of care using the latest scientifically sound procedures in regenerative periodontal microsurgery and implant dentistry. 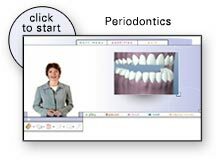 Our practice is dedicated to educating our patients regarding the periodontal disease process and the importance of maintaining periodontal health through home care and through periodontal cleanings. Above all, we strive to uphold the highest level of ethical and clinical standards in every area of our practice to optimize your periodontal and dental implant treatment experience. Dental implant are changing the way people live. They are designed to provide a foundation for replacement teeth which look, feel and function like natural teeth. Dental implants also help preserve facial structure, preventing bone deterioration that occurs when teeth are missing. Learn more about dental implants.